Meleshin Brothers is a real brother duo from Russia. They grew up in a circus studio in Russia and has tried many different acts. 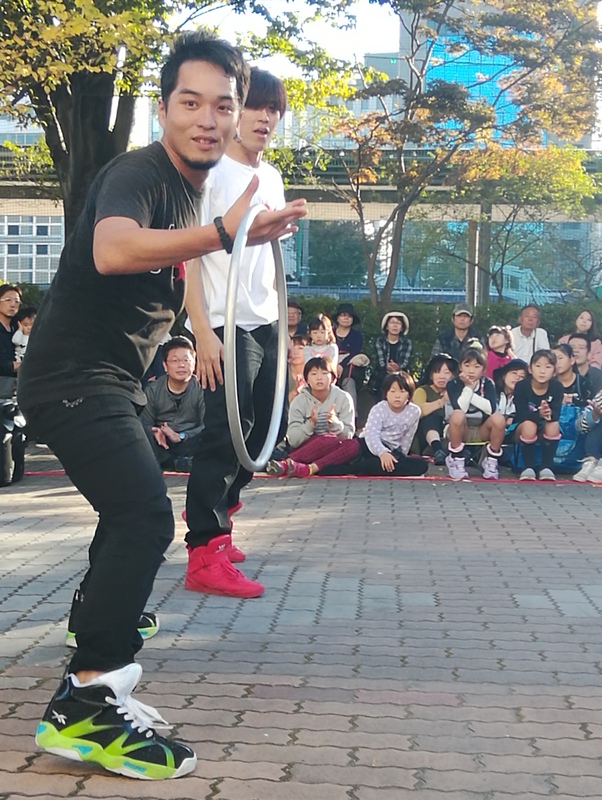 The duo's preffered apparatus for their performance style is the rolla bolla, and the duo is entertaining the audience in Shizuoka with their thrilling rolla bolla act. This is Meleshin Brother's second visit in Japan. Their first visit to Japan was 13 years ago, and they are happy to be back. They enjoys the atmosphere of Daidogei World Cup. According to the brothers, its style and spirit gives special feeling to them. 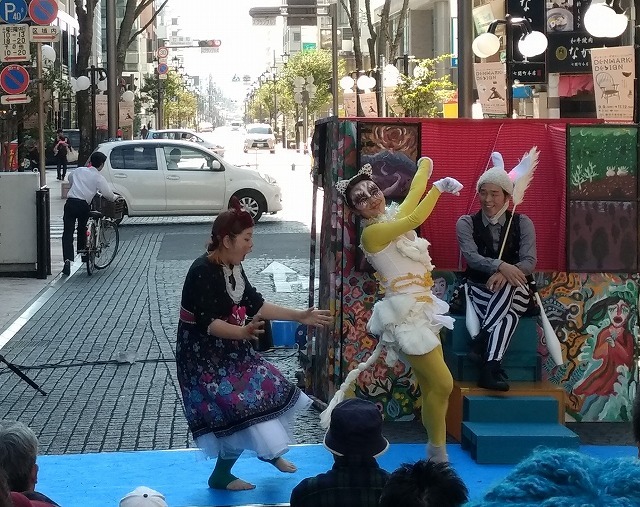 Because the Daidogei World Cup is street performance, they can see everything such as audience's reaction and what they are doing, unlike the stage performance. Performing for Meleshin Brothers is one form of art that they cannot live without. Not only they give smile and energy to the audience, but also they get energy from the audience. 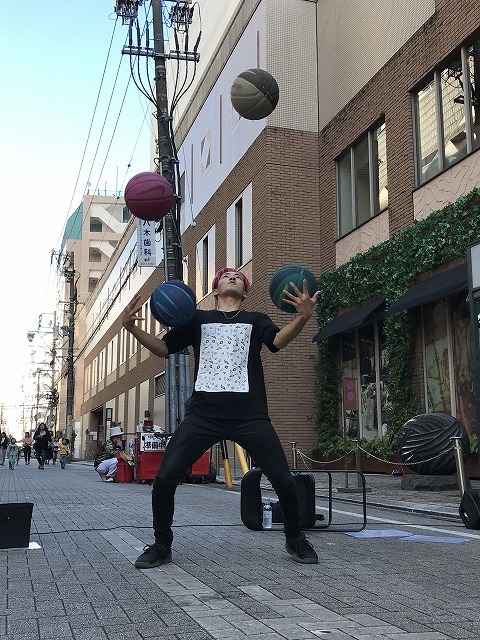 To perform such a thrilling rolla bolla act, it takes step by step practice; first, practice on the floor, then on rolla bolla, and lastly on the table. Let's keep sending the duo tons of energy by cheering so we can keep watching their amazing and continuously improving rolla bolla act! 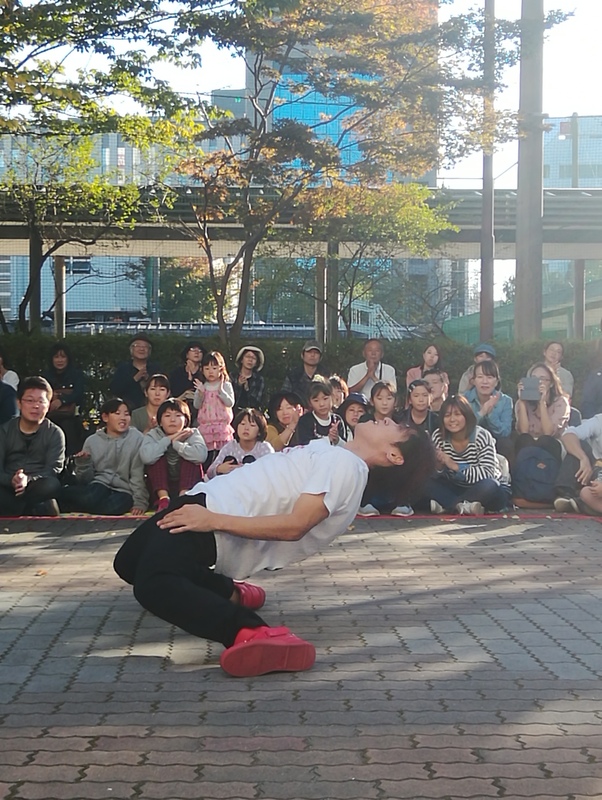 An enjoyable artist group appeared in the urban area!! 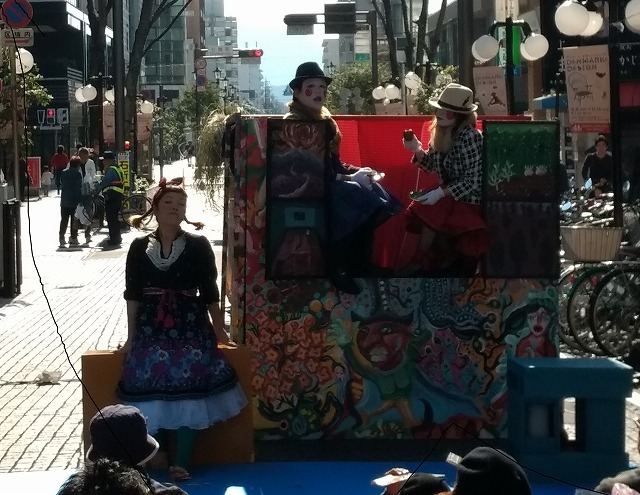 In 3rd day in DAIDOGEI world cup in Shizuoka, the weather was sunny without clowd. We went out to the urban area! so we had to keep watch their performance! performance and interview! We are looking forward their next challenge! In 5th on sunday, they are going to perform a different stage. We want to watch their stage again! Not at all. 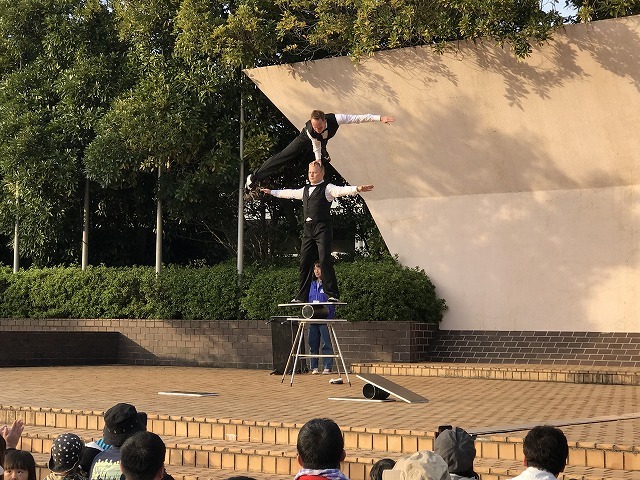 They are satisficated cool duo with awsome magic and humor. What is special about them is the power; people can't help laughing at their idiotic movements. Not to mention that they are the master of magic, devil-sticking and juggling. Right after the permance in Shizuoka, they are having a show in Korea. If you plan to visit Korea, why not check their performance there? 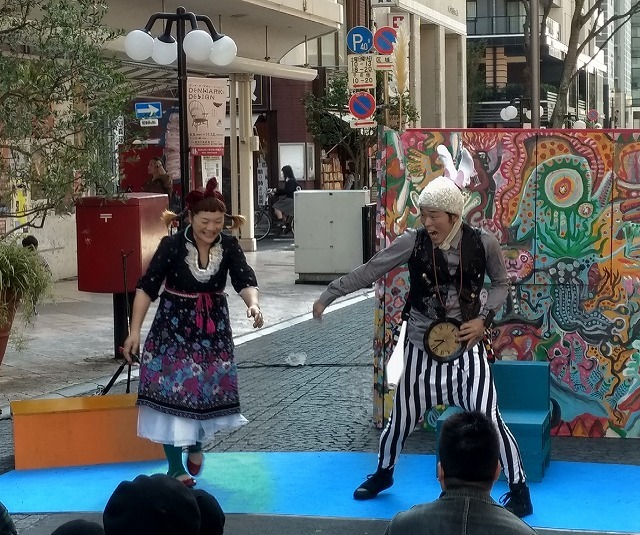 It's a man and woman pair who are from France. 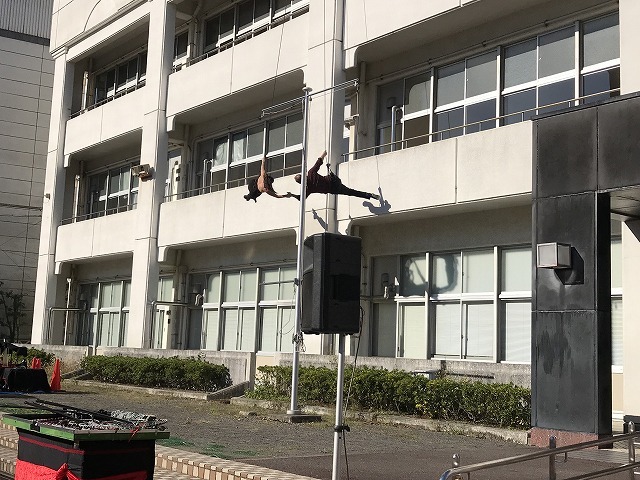 They perform on a wall using wires. When the music started, the atmosphere became mysterious. Calm and beautiful music combined with the amazing performance, so the audiences were impressed. By mixing the two experiences, tango and climbing, they perform as no other artists can imitate. They met in a workshop in 2005 and have been practicing together ever since, which showed in a lot of places. 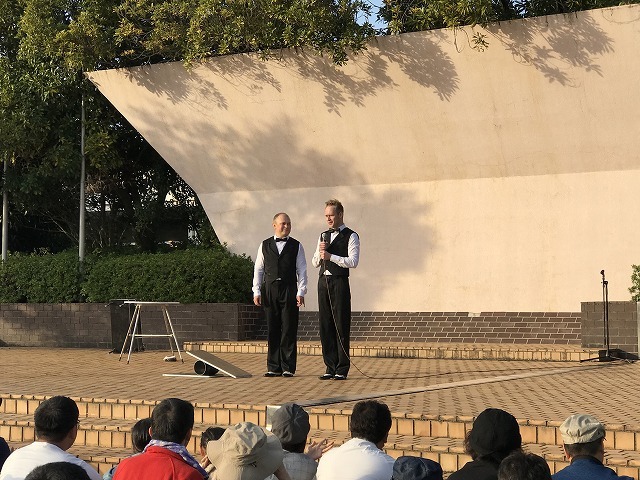 audiences gave a warm applause, so the situation was perfect. 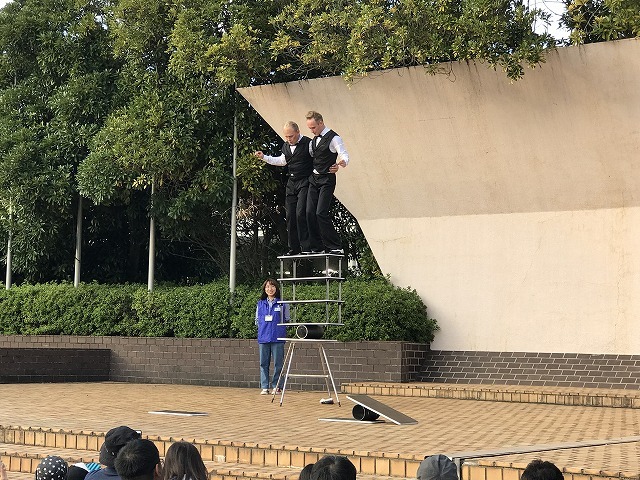 They perform on different walls, so they enjoy every show. I asked how do you practice always with emotion and they answered "strong desire". The pair constantly are aiming for the top and working their hardest under the mantra of"Yes, we can!". but with the audience members as well when they were giving out signatures. 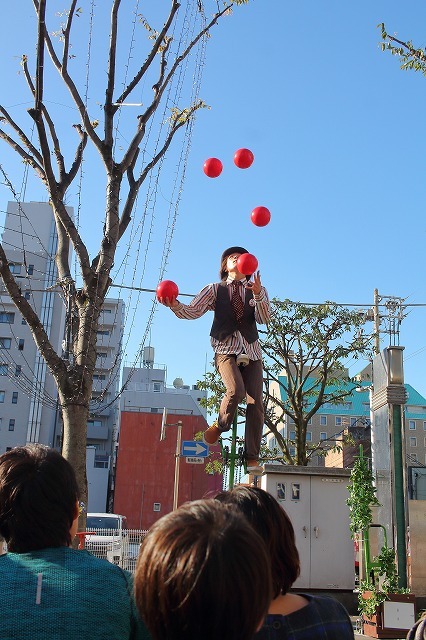 They perform in high places, so numerous people will be able to enjoy the show. 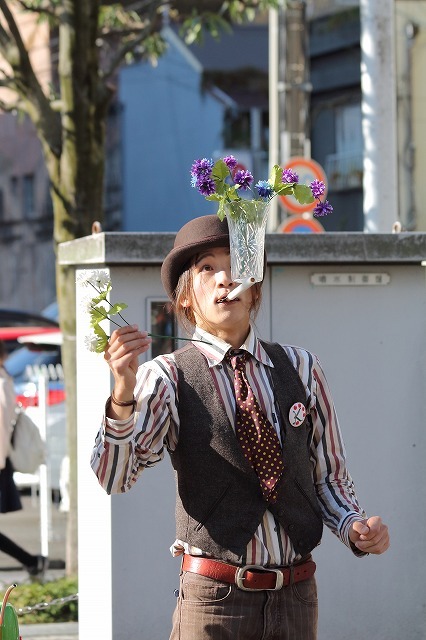 Please check out the performance which take us into the mysterious world. You can check YouTube or some SNS, too!